As Hamas destroys antiquities, Israeli media looks the other way. Israeli news outlets have ignored the imminent razing of an ancient Roman archaeological site by Hamas in Gaza, according to Israel Media Watch (IMW). The terror group is building a military training site for terrorist purposes. To this end, it is partially destroying the ancient Anthedon Harbor—which includes the ruins of a Roman temple and archaeological remains from the Persian, Hellenistic, Roman and Byzantine eras, and has been nominated as a World Heritage site. UN Watch has protested the silence of UNESCO on the matter, and IMW is asking why Israeli media is silent, too. No Hebrew language Israeli news outlet reported the item at all, said IMW. IMW explained that the news has ramifications for the security of Israel's southern border, but also has value-related and cultural ramifications relating to Hamas' global image and status. 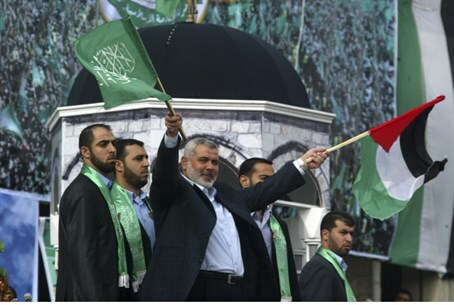 It estimates that giving the story publicity, addressing questions to the Israeli government and a loud public protest could have stopped Hamas's move. "By remaining silent, Israeli media is guilty of journalistic malfeasance and becomes a de facto partner in the destruction by Hamas, and the threat the base poses to Israel. UN Watch, an independent Geneva-based monitoring group, has sent a letter to UNESCO, calling on the international body to take immediate action to stop Hamas from bulldozing the harbor.